This is a fantastic, battle proven 5.45x39 round that offers top end reliability and has a very accurate projectile that has been known to perform in a specific way to maximize damage on the battlefield. This is a storied round used in battlefields all over eastern Europe, Eurasia and in conflicts stretching much further. 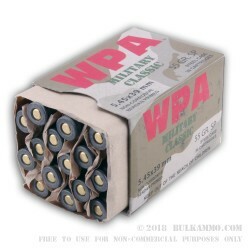 This is a virtual clone of the military specific load and behaves almost exactly the same, from the trademarked “yawing” bullet, to the supreme reliability in feeding, ignition and extraction. The load used in the AK-74 and other variants based on it, is a known round for its potency despite its small caliber projectile. The improvements made in this version of the military style round means shooters get a better round for essentially the same money. 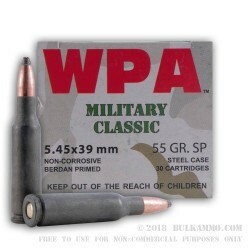 The 55 grain soft point projectile is the first difference, though you can find military loads that feature a soft point. It offers good deformation though it doesn’t have the same ballistic coefficient as the FMJ version. The case coating is a dry polymer film lubricant instead of a lacquered coating that is found on the older military rounds. It also features a Berdan Primer (this is consistent with the original load) and a steel casing that renders the cartridge essentially non-reloadable. Need a lot of AK-74 ammo? 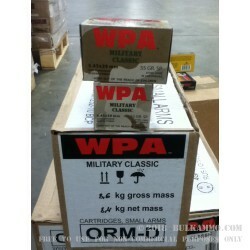 Check out the bulk pack of this same 5.45x39 ammo for sale here.